We are lawyers who focus on Divorce and Family Law issues, including appeals, Personal Injury Law and Residential Real Estate Closings. We always offer a free initial consultation to answer your questions and to share what we can do for you. The Law Offices of Robert F. Kramer, Ltd. was founded in 1997 with the goal of providing unsurpassed legal services to clients. The primary focus of the firm is Divorce & Family Law, Personal Injury & Residential Real Estate Closings. Attorney Robert F. Kramer has been practicing law since 1993 and attorney Sandra Clark has been practicing law since 1994. Both are experienced litigators and respected trial attorneys. Attorney Nicholas Roeder joined the firm in 2013. He has court experience and experience dealing with DCFS as he interned with the State's Attorney's Office prior to obtaining his law license. The firm practices in DuPage, Will, Kendall and Grundy Counties. In addition to our attorneys, we have a staff of legal assistants and a paralegal. We understand that family law issues are stressful and we endeavor to communicate and educate our clients throughout their case with the hope that the more knowledge a client has, the more peace of mind they will have.. We offer a free initial consultation either in person or over the phone during which we try to provide you with as much information about the process and with as many answers to your questions as we can. For DuPage County cases, we are conveniently located in Lombard on St. Charles Rd. by the train station (the suite behind Re/max - entrance on parking lot side). For Will, Kendall and Grundy County cases, our office is convenienlty located in Plainfield at the intersection of Route 30 (Lincoln Hwy.) and Lily Cache Rd. -1/2 mile West of Route 55. Please feel free to call us directly at either (630) 785-2400 or (815) 254-4612. You can also e-mail us at rfkramer@sbcglobal.net or fill out the contact form on the right. We look forward to hearing from you. Law Offices of Robert F. Kramer, Ltd.
123 W. St. Charles Rd. The Law Offices of Robert F. Kramer, Ltd.
Illinois does not recognize specialties for attorneys, as licensed attorneys can practice in almost any field of law. Our firm focuses over 80% of its practice on Divorce and Family Law matters, including appellate work. The Law Offices of Robert F. Kramer, Ltd. was founded in 1997 with the goal of providing unsurpassed legal services to clients. The primary focus of the firm is Divorce & Family Law, Personal Injury & Residential Real Estate Closings and Guardianships. Attorney Robert F. Kramer has been practicing law since 1993 and attorney Sandra Clark has been practicing law since 1994. Both are experienced litigators and respected trial attorneys. Attorney Nicholas Roeder joined the firm in 2013. He has court experience and experience dealing with DCFS as he interned with the State's Attorney's Office prior to obtaining his law license. The firm practices in DuPage, Will, Kendall and Grundy Counties. In addition to our attorneys, we have a staff of legal assistants and a paralegal. We understand that family law issues are stressful and we endeavor to communicate and educate our clients throughout their case with the hope that the more knowledge a client has, the more peace of mind they will have.. We offer a free initial consultation either in person or over the phone during which we try to provide you with as much information about the process and with as many answers to your questions as we can. For DuPage County cases, we hare conveniently located in Lombard on St. Charles Rd. by the train station (behind the Re/max office-our entrance is on the parking lot side of the building). For Will, Kendall and Grundy County cases, our office is convenienlty located in Plainfield at the intersection of Route 30 (Lincoln Hwy.) and Lily Cache Rd. -1/2 mile West of Route 55. F Please feel free to call us directly at (630) 785-2400 or (815) 254-4612, You can also e-mail us at rfkramer@sbcglobal.net or fill out the contact form on the right. We look forward to hearing from you. What distinguishes your law firm from others? The attorneys at The Law Offices of Robert F. Kramer, Ltd. are good listeners and more approachable than many attorneys at other firms are. Numerous clients have commented on how they felt a weight lifted from their shoulders and less anxious after having their initial consultation with one of our attorneys. We believe this is because our attorneys provide as much information and education as they can to potential clients at the initial consultation and we strive to continue to do so throughout the representation of a client. Robert F. Kramer received his law decree from Northern Illinois University and has been licensed to practice law in Illinois since 1993. He opened The Law Offices of Robert F. Kramer, Ltd. in 1997, in Plainfield, Illinois and now has offices in Lombard and Plainfield serving DuPage, Will, Kendall and Grundy Counties. Mr. Kramer has over 20 years of experience representing clients in divorce and family law matters. He is an experienced trial attorney who has litigated numerous child custody cases, complex marital estate and support cases and has helped over one thousand people with their legal matters. He attributes his firm's success to surrounding himself with a great staff. Attorney Sandra Clark has been with the firm since 2000. She also has over 20 years of experience representing clients in divorce and family law matters and is an experienced trial attorney. 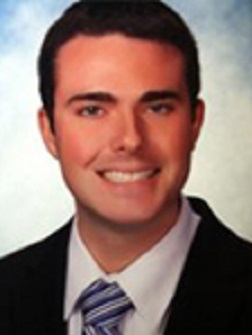 Nicholas Roeder joined the firm in 2013. He has extensive knowledge of family law issues dealing with DCFS, has conducted research for and co-authored multiple appellate briefs and appears in court on a regular basis. The firm's paralegal, Dawn Burke, and legal secretary, Kylie Wilson together, have been with the firm for over 10 years. The attorneys at The Law Offices of Robert F. Kramer, Ltd. are good listeners and more approachable than many attorneys at other firms are. Numerous clients have commented on how they felt a weight lifted from their shoulders and less anxious after having their initial consultation one of our attorneys. We believe this is because our attorneys provide as much information and education as they can to potential clients at the initial consultation which continues throughout the representation of a client. 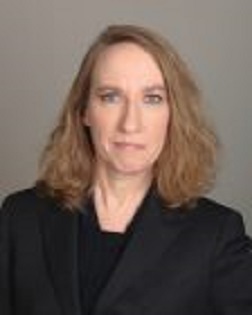 Sandra R. Clark earned her Doctorate of Jurisprudence (Law Degree) from the Northern Illinois University School of Law in 1994. She was admitted to the Illinois Bar that same year. Ms. Clark joined the firm in 2000 and has been diligently and successfully reprenting our clients ever since. Attorney Clark has over 20 years of experience representing clients in Divorce and Family Law matters. She is an experiened trial attorney who pays particular attention to detail. She has represented clients in hundreds of hearings and takes great pride in her work and in the results she is able to acheive for clients. Attorney Clark actively promotes and engages in the firm's philosophy of trying to understand and educate people at their initial consultation and throughout their legal matter should they choose to retain our firm. 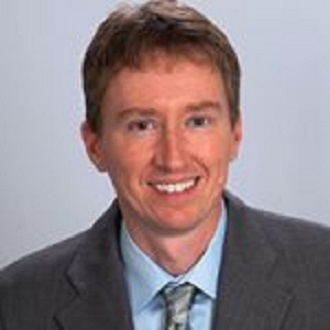 Nicholas J. Roeder earned his Bacherlor's Degree from the University of Arizona and his Juris Doctorate (Law Degree) from the Valparaiso University School of Law. As a law student, he interned with DCFS and appeared and represented DCFS as an intern at numerous Court and Administrative Proceedings. Mr. Roeder was admitted to the Illinois Bar in 2013 and joined the firm that same year. Since joining the firm, attorney Roeder has researched and co-authored multiple appellate briefs addressing family law issues, represented clients at court on a regular basis and appeared in court in DCFS proceedings. Mr. Roeder is a member of the Illinois State Bar Association and actively promotes and engages in the firm's philosophy of trying to understand and educate people at their initial consultation and throughout their legal matter should they choose to retain our firm.